EPDM is a synthetic type of rubber. According to the EPDM Roofing Association, it is made out of ethylene and propylene. EPDM roofing membrane is available in either black or white. Black EPDM has a smooth surface and looks “similar to natural gray slate.” White EPDM is also smooth, but it’s bright, light color makes it more reflective reducing air conditioning costs. EPDM roofing membrane is available in a variety of widths ranging from 7.5 to fifty feet. According to Righteous Rubber Roofing, there are three thickness options: 45 Mil, 60 Mil and 90 Mil. A Mil is a unit of measurement denoting a thousandth of an inch. A 45 Mil EPDM roofing membrane is about as thick as a dime. A roof built with EPDM roofing membrane is durable regardless of the weather. According to Hometown Roofing Contractors, since EPDM naturally expands and contracts, it will not crack our tear in extreme cold or heat. 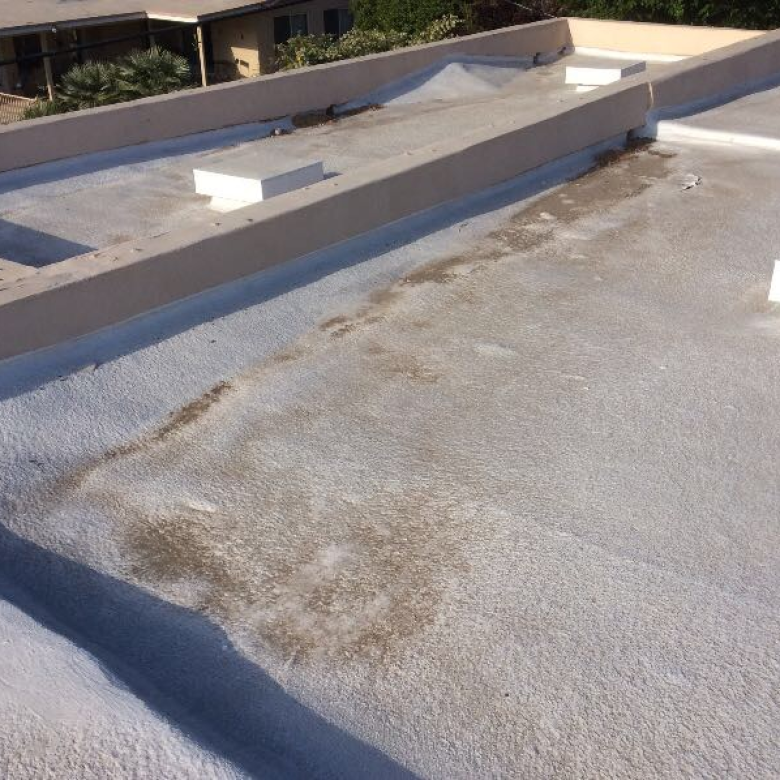 In extreme heat, white EPDM will lower the surface temperature of your roof by 80 degrees. If you have a black EPDM roof, you can paint it white using a water-based acrylic paint and achieve many of the same benefits. The lifespan of your roof will depend on its thickness and its exposure to extreme weather conditions. An EPDM roof with a thickness of 45 Mils should last around twelve years. If your roof is 90 Mils thick, it might last more than twenty-five years. However, continued exposure to hot humid weather or sub-zero freezing temperatures may negatively impact the life of your roof. 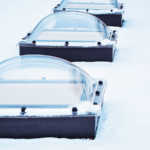 Also, exposure to extreme weather such as rain, wind, snow or hail may affect the lifespan of your roof. 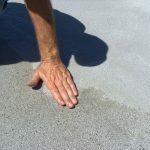 Exposure to oils, fats, solvents or acids can eat away at the rubber causing damage to your roof. Likewise, continued exposure to standing water for more than forty-eight hours will damage your roof thereby decreasing its lifespan. It’s also very important to ensure your roof is installed correctly. Ninety-fiver percent of roof failures can be directly attributed to improper installation. When properly installed and maintained, a 90 Mil EPDM roofing membrane may last as long as fifty years. Like any roof, EPDM roofing membrane my require repairs from time to time. EPDM is a vulcanized rubber. 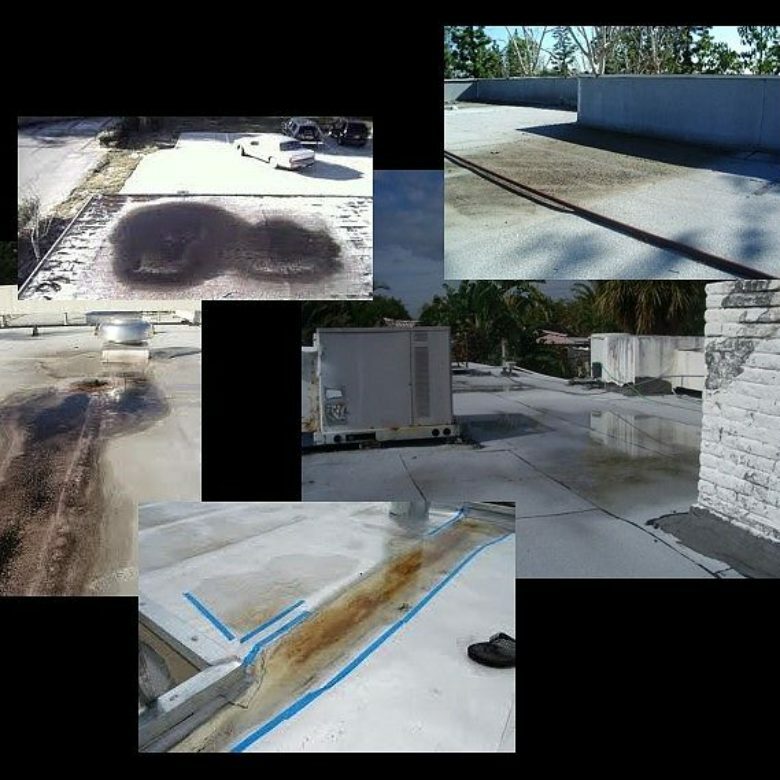 Because of this, you won’t be able to “heat the rubber to a melting point to repair small holes or cracks.” Fortunately, patch and repair kits are available which are specifically designed for use on EPDM roofs. Repairs to EPDM roofs are inexpensive, and regular maintenance will significantly increase the life of your roof. If you’d like to learn more about fixing ponding water issues on an EPDM roof, contact us.